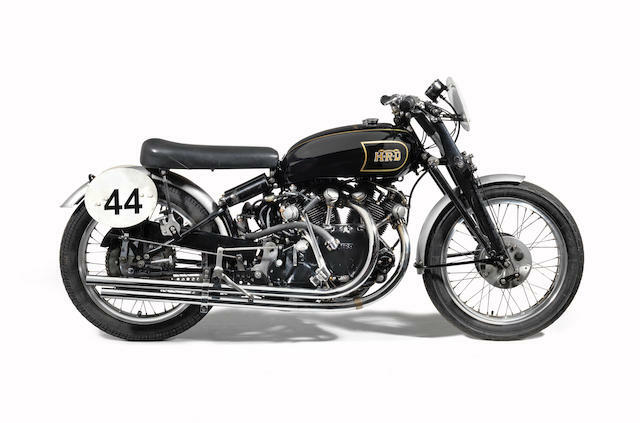 There’s an incredible selection of motorcycles coming up for auction at Bonhams Auctions’ inaugural Barber Museum Sale during the Barber Vintage Festival this year, including a Vincent Black Lightning and an equally rare 1928 Windhoff four-cylinder oil-cooled Art Deco masterpiece. 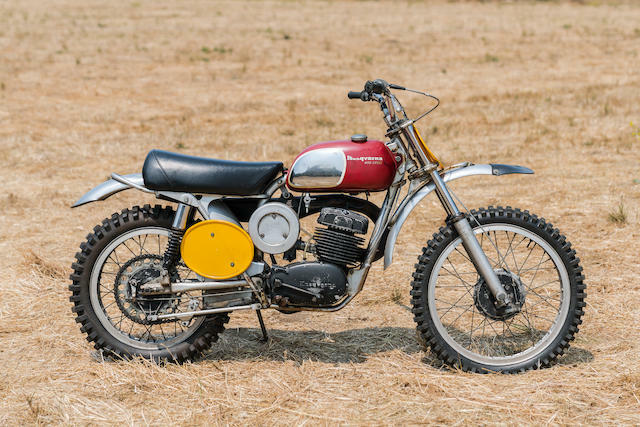 The auction is undoubtedly a testing of the waters, to see if the Barber Festival attracts the kind of crowd that can support a first-rate auction, and while the event is small compared to the mega-weekend at Las Vegas in January, there are some real gems on offer. 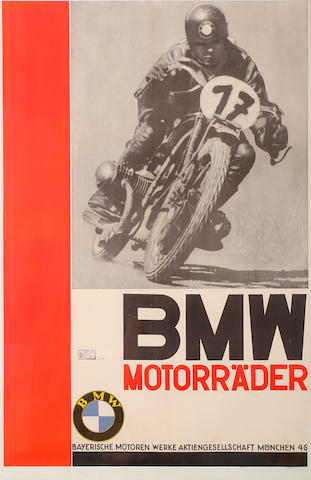 It’s nice to see a healthy selection of automobilia at Barber, as…sometimes you don’t need another motorcycle, but can justify a cool, rare poster…ask me how I know. The emphasis this year is on Daytona and BMW-related posters, postcards, medals, etc, which seem to be from one collection (likely Florida?). Definitely check out the posters! 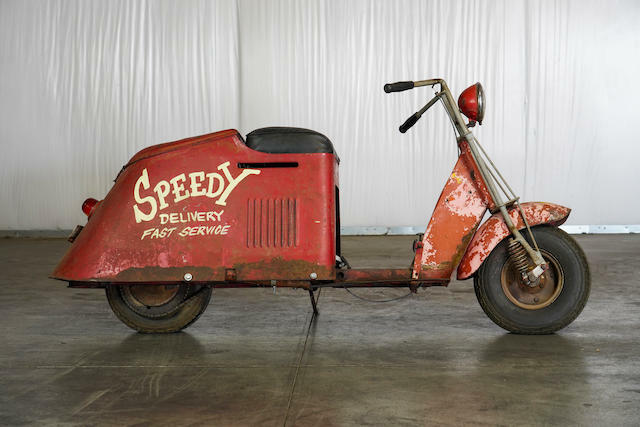 The quirky selection of motorcycles starts with this great little Cushman scooter in original, cheeky paint. 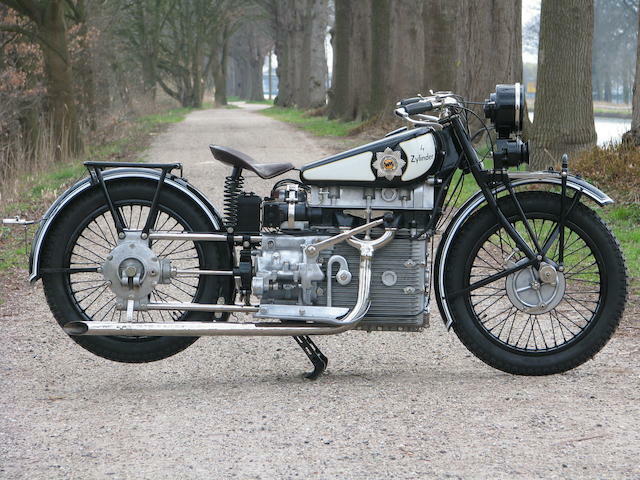 As shop or pit bikes go, this one’s about perfect. 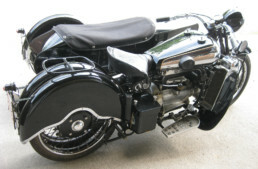 There are of course several major machines coming up though, including Erik Buell’s first production motorcycle (a two-stroke four-cylinder racer), Steve McQueen’s documented real ‘On Any Sunday’ Husqvarna, a stunning 1936 Brough Superior SS80, and terrific 1928 Windhoff four-cylinder oil-cooled masterpiece, and of course, the second-built Vincent Black Lightning with full provenance from new. 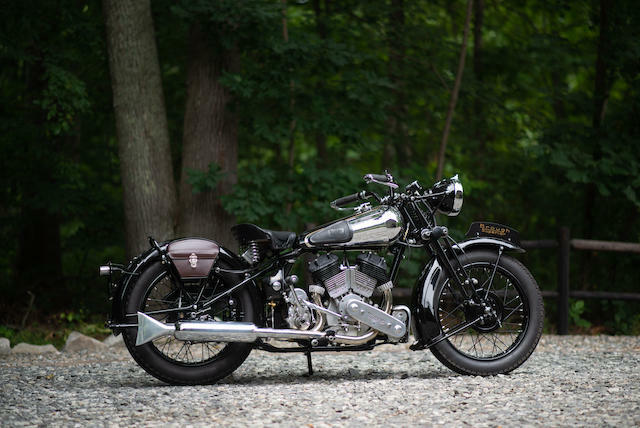 An award-winning concours restoration of a 1936 Brough Superior SS80. 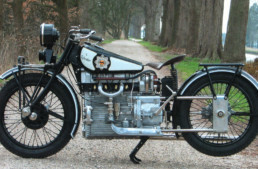 What’s it like to ride one? 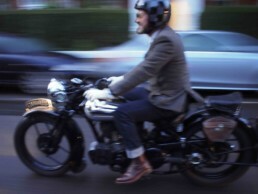 Read our Road Test of an SS80 here!